Designed and programmed by Nick "Orlando" Pelling for the Acorn BBC Micro in 1984, and converted for the Acorn Electron in 1986. 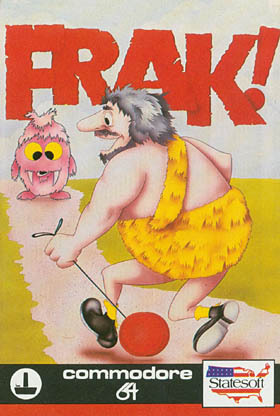 Converted for the Commodore 64 by Jason Perkins, Anthony Clarke and Mark Rodgers, and published by Statesoft in 1985. 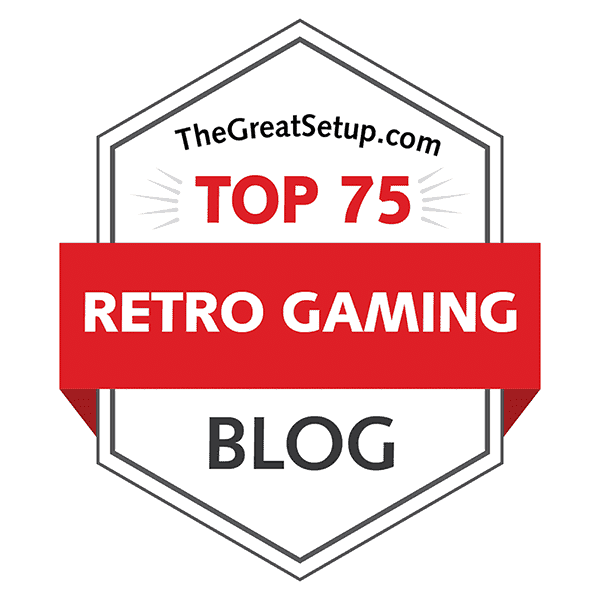 For a change, we have a slightly edited blog version of another RESET magazine article for you all to browse through. And once again, if you haven't read the original magazine yet, you can do so here. Now, I've been trying to put our C64 against a different machine for each Format Wars article, whenever possible, and since it's the sixth article in the series already, it's inevitable that the game under the magnifying glass should be a more obscure one. I never knew much about the Acorn computers, since we didn't get them here in Finland, but believe it or not, Frak! was one of my favourite platformers on the C64 back in the day, because it was deceivingly simplistic in its mechanics, but completely unique in certain ways. Finding out only lately, that it was originally made for the Acorn computers came to me as a bit of a shock, so of course I had to do a comparison of it as I test the original game for the first time. Written by Tero Weckroth and Mika Savolainen for the MSX computers in 1986. 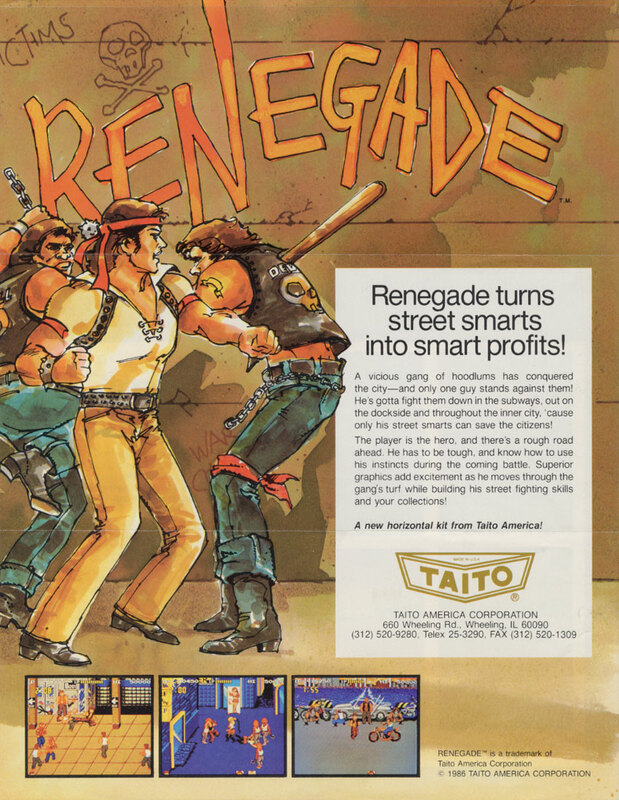 The original Finnish release published by Boss Company in February 1987, and later the same year, published by Eaglesoft in France (from which the cover art here is taken) and by System 4 in Spain. Merely for the sake of change, I decided to take a look at something not C64-based this time. Although there were quite a few Finnish games released for the MSX (and SVI) computers, most of them are still unavailable on the internet. 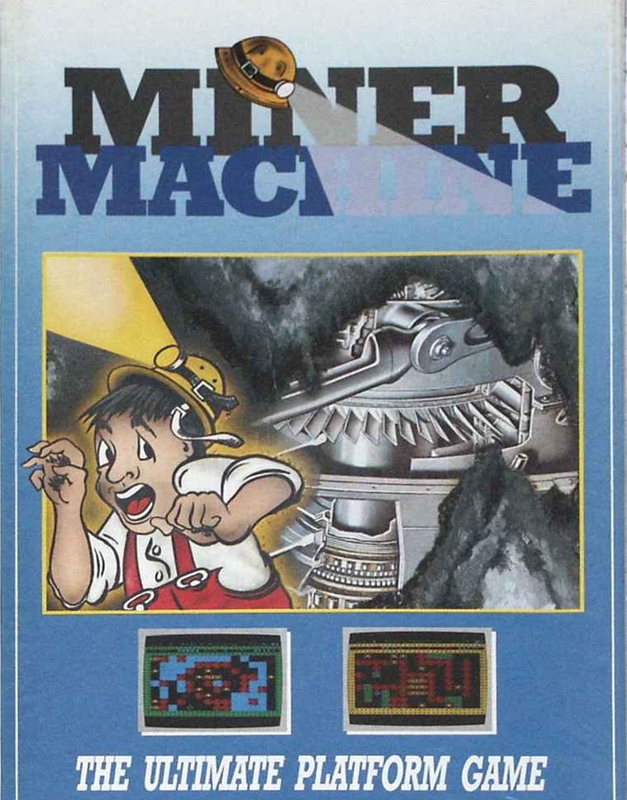 Miner Machine is one of the rare examples of Finnish MSX games that are available, so I decided to take a closer look at it. 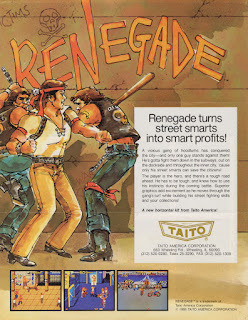 Originally developed by Technos Japan and released for the Japanese arcades as "Nekketsu Kouha Kunio-kun". Detailed credits for the original arcade version are currently unknown. However, since there are so many people involved in all all 10 home conversions, I decided to construct another separate Credits section before the actual comparison material. So, apologies for the short introduction, but click on "Read more >>" (or whatever it is in your language) to read the whole thing - sure enough, there's a lot of it to be had. And before you do so, you might as well prepare yourselves with a fresh pot of coffee - I haven't done a comparison this huge since Pirates! before my last summer holiday. Designed and programmed by Andreas Kemnitz for Commodore 64, with music by Michael Winterberg. 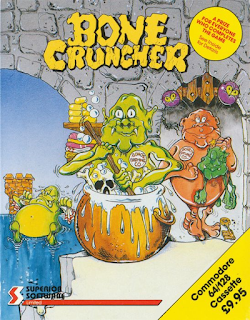 Converted by Martyn Howard for the Acorn Electron and BBC Micro computers in 1987. Converted by Andreas Staerkert for the Commodore Amiga, with music by Michael Winterberg. Released in 1988. Here's another quick one for a change, because I also need to get through the games that I hinted on in that season-opening post in August. Yeah, this one was hinted in that collage. BoneCruncher (or Bone Cruncher, as it's sometimes seen written) was one of those games that was made during that time period, when Boulder Dash variants were made as variants, instead of clones, as they would be a bit later on. Perhaps it is not one of the most interesting games of all time, but it has some charm, and it was one of my childhood's more intriguing gaming experiences on the C64, which is why I chose to do a comparison of it.